Salem, IN. (October 3, 2017) – The JEGS/CRA All-Stars Tour Presented by Chevrolet Performance will close out their seventh season of competition this Friday on the famous High Banks of Winchester Speedway, helping kickoff the big 46th Annual Winchester 400 Weekend. 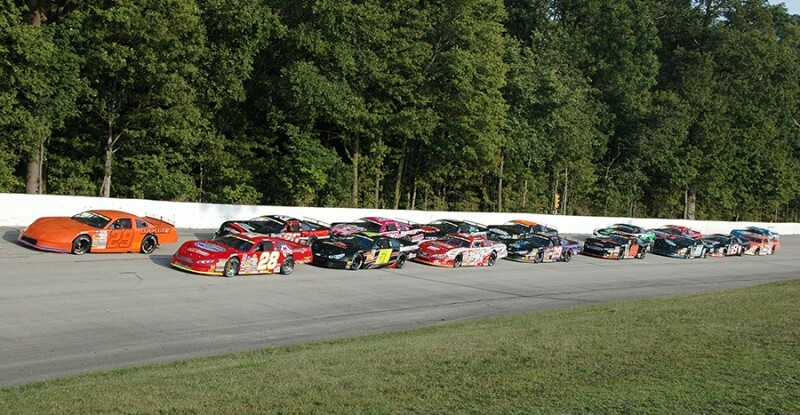 A talented field of 23 teams is currently entered to compete in the JEGS/CRA All-Stars Tour Winchester 100 Presented by JEGS.com on Friday evening. That event will be the eleventh point’s event of the 2017 season for the series after losing one event to weather. 2017 was the first season CRA has used a Championship Chase format to crown their Champions in all four of its series. Eight drivers were locked into the final four JEGS/CRA All-Stars Tour Champion Chase events. After three of those events, four drivers were eliminated, giving four drivers a shot to win the 2017 series Championship. The four includes Carson Hocevar, Jack Dossey III, Michael Clancy Jr. and Austin Kunert, the driver finishing the highest in Friday’s Winchester 100 will be crowned the 2017 Champion. 14 year old Hocevar looks to make series history on Friday. No driver has ever won both the JEGS/CRA All-Stars Tour Championship and the Howie Lettow Rookie of the Year Award Presented by VanDoorn Racing Development in the same season. Hocevar has already locked up the Howie Lettow Rookie of the Year Award Presented by VanDoorn Racing Development going into Friday night. The rookie driver has won a series leading three events so far in 2017, a record number of wins for a rookie in one season, becoming the series youngest winner at Kil-Kare Raceway in July, then followed that up with a win at Birch Run Speedway in August, then won the series first Championship Chase event at Winchester on Labor Day Weekend, locking him into the final four. Hocevar was the Fury Race Cars Fast Qualifier a series leading four times at Bristol Motor Speedway, Auto City Speedway, Birch Run, and Owosso Speedway. Jack Dossey III has had a great season in 2017, and has been on the verge of getting his first series win several times with three second place finishes so far this season at Salem Speedway, Lebanon I-44 Speedway and Owosso Speedway and led 22 laps of the Labor Day Winchester event before low air pressure in a tire cost him a possible win and left him with a 10th place finish in that event. Dossey III was the Fury Race Cars Fast Qualifier at Salem Speedway and at Winchester. Dossey hopes to use his great runs on the High Banked tracks to claim the Championship. 14 year old Michael Clancy Jr. has had a good sophomore season with the series, including six straight top ten finishes up to the last series event at Lucas Oil Raceway, with a series high finish of sixth three times, including the series event at Winchester on Labor Day Weekend. Clancy Jr. was the Fury Race Cars Fast Qualifier at Lebanon I-44 Speedway and at the series last event at Lucas Oil Raceway. Clancy Jr. was running second at Lucas Oil Raceway until an on track incident on a restart ended his day after heavy contact with the outside retaining wall. Clancy Jr. hopes to be near the front of the field on Friday night to be in the Championship running. Austin Kunert came into the 2017 season with high expectations in his third season of racing with the series, after finishing second in points in 2016 to Champion Cody Coughlin. Kunert has had an up and down season, with several good runs and some bad luck that kept him from being at the top of the points. Kunert has five top five finishes so far this season, with a season high finish of third twice, once at Salem Speedway in June and at Birch Run Speedway in August. Kunert finished second in the Winchester Championship event last season, and hopes to be there again to battle for the 2017 Championship. Besides the four Championship contenders, other top drivers entered include last year’s event winner and defending Winchester 400 winner Travis Braden, Jack Smith winner of this event in 2015 and at Salem earlier this season, 2013 event winner Corey Deuser, 2017 Owosso Speedway winner Kyle Crump, Mason Keller who finished second in the Labor Day Weekend event and 2017 Southern Super Series Champion Stephen Nasse in Rick Turner’s car, who finished second in the Pro Late Model event at Nashville last Sunday. Things begin for the Winchester 400 Weekend with an optional load in, hauler parking and pit pass purchases on Thursday, October 5th from 3 to 7pm. Pits open on Friday, October 6th at 9am with rotating practice for all divisions beginning at 1pm. Second round practice and Group Qualifying for the Vore’s Touring Compacts and the Vore’s Welding CRA Late Model Sportsman Series and Lawrence Towing CRA Street Stocks New Star events will start at 4:10pm. The JEGS/CRA All-Stars Tour Fury Race Cars qualifying will start at 6:15pm. Racing action will begin at 7pm with 8 lap heat races for the Vores Touring Compacts. The JEGS/CRA All-Stars Tour Season Championship Winchester 100 Presented by JEGS.com will be up next. The Vores Touring Compacts 25 lap feature will follow that. The CRA Late Model Sportsman and CRA Street Stocks 25 lap New Star features will cap off the nights racing action. Pits open on Saturday, October 7th at 8:30am, rotating practice for all divisions will begin at 11am. Second round practice and Group Qualifying for the CRA Late Model Sportsman Series and CRA Street Stocks will begin at 2pm. Qualifying for the Winchester Modifieds Run for the Gun will start at 3:30pm, EDCO Welding Pole Qualifying for the 46th Annual Winchester 400 for the ARCA/CRA Super Series will begin at 4:15pm. The race program will begin at 5pm with the Winchester Modifieds Last Chance race. The 50 lap CRA Late Model Sportsman Series Season Championship event will be up next. The Winchester Modifieds 50 lap Run for the Gun will follow. The 50 lap CRA Street Stocks Season Championship event will cap off this huge night of racing. The Annual Winchester 400 Party in the Pavilion will start in immediately following the races with live music. 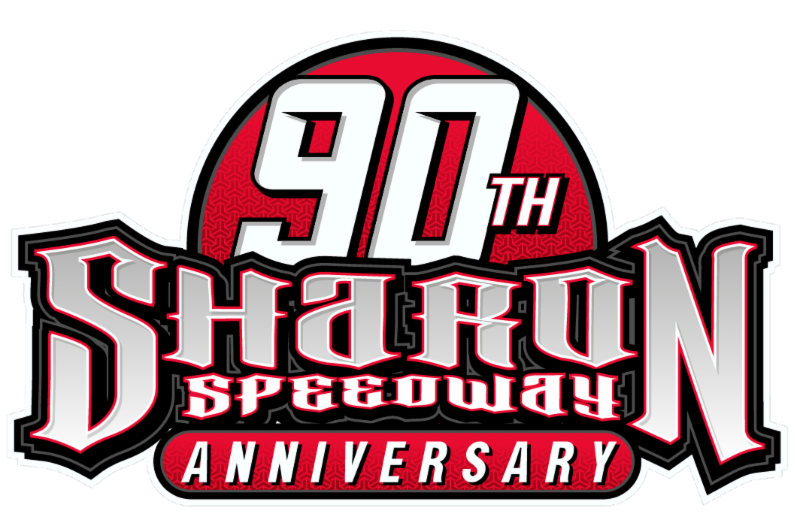 On Sunday, October 8th pits will open at 9am. There will be an on track autograph session with all the 46th Annual Winchester 400 drivers starting at 12:30. Opening ceremonies will begin at 1:30 pm with the 46th Annual Winchester 400 taking the green flag at 2pm.